Cardiff continues to lead the way in contactless shop-window giving with a second donation point appearing in the city centre within the same week. Ty Hafan launched its first contactless shop window on the front of its store on Working Street in the Welsh capital on 10 March, as it continues to build on its use of digital donation systems. The charity, which runs the only children’s hospice in south Wales, first worked with Barclays Bank to provide contactless donation boxes during its Snowdog Tails in Wales Trail – a public art trail around Cardiff and the Vale of Glamorgan – and recognised their effectiveness in raising funds. Rhodri Harris, digital development manager at Ty Hafan, said: "We recognise the importance of digital innovation to the charity sector and we are striving to push Ty Hafan to the forefront of digital giving in Wales. We hope that introducing contactless technology is only the beginning of our developments in digital fundraising." The window will be displayed until 26 March. 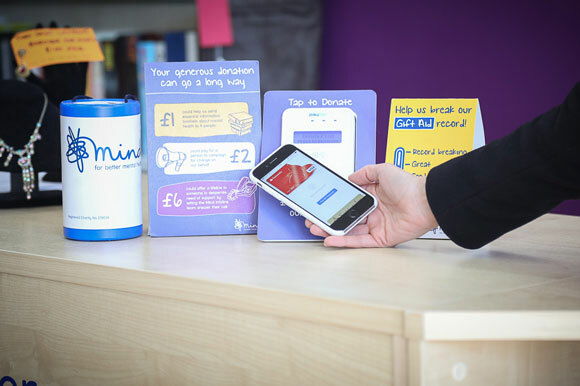 Minds Matter has begun piloting contactless donation terminals in 10 of its shops around the UK in an effort to bolster donations. The retail arm of the national charity Mind began a 12-month programme in February with terminals funded by its partner, Santander Corporate & Commercial. If the pilot proves successful, the contactless terminals could be rolled out across more of Mind's shops. The move is a reaction to research from Consumer Intelligence showing that, at a time when cash donations are falling and two out of five adults admit they give less to charity because they do not carry much cash, contactless donations are three times higher than cash collections. Amanda Day, head of finance & central services at Mind Retail, said: "Santander has become a valuable, trusted partner to us and, in helping Mind tackle the challenge of donations, is extending its support even further. Technology, digital solutions and new payment processes will continue to have an impact on the sector, so it is vital that charities adapt, evolve and work with partners that can help us to capitalise on these trends." The Church of England is making contactless payments available at 16,000 churches, cathedrals and religious sites after a pilot trial. As previously reported in Third Sector, 40 churches were chosen to trial the payment system as the church reacted to fewer people carrying cash. With the success of the pilot, dioceses throughout England will now be able to accept cashless payments for events including weddings, christenings, church fetes and concerts, as well as for one-off donations and the booking of churches and halls. Card readers will be available from the CofE’s Parish Buying Portal through a partnership with the technology companies SumUP and iZettle. 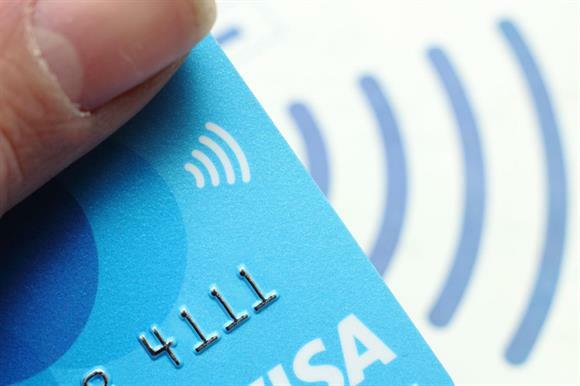 John Preston, national stewardship officer of the Church of England, acknowledged that there was a "clear need for our parishes to introduce card and contactless facilities". He added: "How we pay for things is changing fast, especially for younger church-goers, who no longer carry cash. We want all generations to be able to make the most of their places of worship." The technology to facilitate other donations, such as for a service collection, is to be trialled further and expected to be launched in due course. Sport Relief has produced an immersive 360-degree film to raise awareness of malaria treatments. The biennial fundraising campaign for Comic Relief has worked with production studio VR City to create the six-minute film that focuses on the life cycle of a mosquito as it spreads malaria in Uganda. Narrated by the actor David Tennant, the film takes viewers on an immersive experience from the start of the mosquito’s life, submerging the viewer underwater to see it develop from a pupae to when it bursts out into the air to hunt for human blood. The film uses 360-degree views as viewers follow those on the front line of the fight against malaria. Bill Griffin, executive director of brand & creative at Comic Relief, said: "Malaria takes a life every two minutes in Africa. We are always looking for innovative ways to bring home this stark reality and deepen understanding of one of the world’s most deadly diseases. Collaborating with the brilliant VR City to make this immersive 360-degree film enables us to do exactly that."